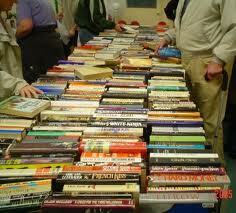 Selling used books is easy and very profitable. 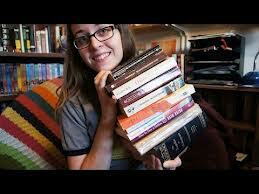 We will teach you how to find used books to sell and how to sell used books on eBay and on Amazon Used Books site. We have been finding used books at garage sales and selling them on eBay and Amazon for 12 years. We have sold thousands of books, and we find many $50-100 books each year for $1 or under. First, you have to realize that in order to sell books consistently for good profits, you need to either 1) Do your research, so you know what you are looking for, or 2) Set yourself up with the tools that you need to identify quality books. If you just start picking up used books with the expectation that you will automatically make money on them, YOU WILL LOSE MONEY, even if you get the books for $1 or less. There are a ton of books that are worthless for resale, due to being overproduced and often you cannot tell if a book has value simply by looking at the cover. I highly recommend that if you intend to get into selling used books and used media, that you get a smart phone (Android) with the capability of using a bar-code scanning application that links to Amazon, so that you know how much a particular book is worth before you buy it. We have links at the bottom of this page for the equipment that you will need to succeed when selling used books. Used books are great items to sell. They hold value well, there will always be a demand for them, and many are collectible. The used book business can be competitive in some locations, butthere will always be $20-50 books to be found, especially at garage sales. Used books are easy items to sell. They are relatively small and sturdy compared to other collectible items. They are generally the same size so that you can buy packaging materials in bulk. They are also easy to store. You can fit thousands of books on shelves in a small area. The values of books are easy to determine and super easy to list on Amazon. Condition is very important when selling used books online. An average used book has light reading wear, and possibly a couple of light corner bends or a small name inside the cover. If the book you are considering reselling has torn pages, broken binding hinges, or significant interior markings, you should usually stay away. 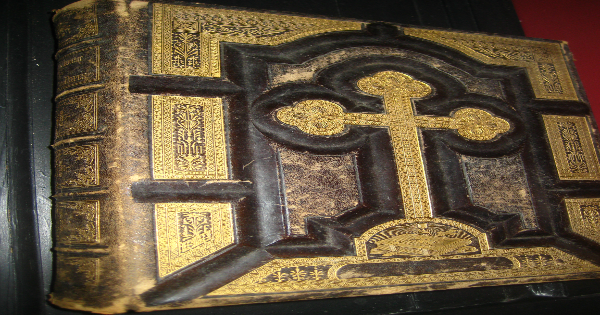 Most books were issued with a dust jacket. If the jacket is missing, it worth about half as much as a book with the jacket, unless the book is pre-1940s or so. Know what a Book Club Edition (BCE) looks like compared to standard books. BCEs are cheaper editions of books that were mass produced at low prices. They are rarely collectible and therefore not worth much, even if they are over 50 years old. BCEs are normally about 2/3 the size of other books, and often the older BCEs did not have fancy dust jacket. I have found a LOT of $20-30 softcover texts. Look for books published by colleges or written by professors. Also look for used textbook stamps. Many softcover texts are “trade paperbacks”, and they often were not re-printed like hardcover texts. There are many valuable softcover texts that are 10-25 years old. Non-Fiction books are GENERALLY worth more than Fiction books of the same age. Check the title pages of books – I have found many books at thrift shops, used book stores and garage sales that were AUTOGRAPHED by the author on the title page or FFEP (blank cover page before the title page). Signed books can be very valuable for known authors. First Editions or First Pressings of hardcover books are often collectible. Some are worth thousands of dollars. Many first editions are specified on the title page above the print schedule. Others have a print schedule that ends in ‘1’. The print schedule would look like this for a 1st edition: 10 9 8 7… 2 1. If the book was a second print, the schedule would end in ‘2’.Stay away from books that had huge print runs like Reader’s Digest collections and Romance books. There are some exceptions, but many of these books are worthless. Used hardcover textbooks can be high value books, but they are commonly revised every year.Even $100 textbooks that have been revised several times are worth very little. In other words, if you have the latest edition, great! If you have one edition back, students will still buy it to save money and you will make some money. Texts older than that will be almost worthless.Look for books that are rare for selling used books on the internet. If you look at a book, and you say “who in the heck would read THAT?”, you probably found a winner.It is also possible to sell the illustrations from vintage books with broken bindings (see below). You can sell illustration plates from popular illustrators like Rackham for good money. You can often find books like these in free boxes. Used library books are worth significantly less because of all of the attachments, stamps, condition issues, and modified dust jackets. Look for thin softcover books. I have lots of 10-20 page vintage softcover books that are worth over $50 on Amazon. Several that I can think off the top of my head: A 25-page book on the history of a Pipe-Makers Guild from the 1920s worth $85, one titled Sauna Puka, a hunting book from the Upper Peninsula from the 1960s worth $100, and a 30-page book about Flood Hazards in Vermont worth $195. Look for the ‘Deluxe’ version of books – leather-bound covers, gold gilt page ends, and illustration pages with vellum coverings are indications, and there will be a notation in the title. These books are usually worth considerably more than a standard pressing. These Yard Sale Books yielded over $150 in Amazon Inventory! I have found many outstanding used books for resale at garage sales and yard sales. You won’t see as many internet re-sellers that specialize in selling used books, like you will at many thrift stores and used books stores.There are too many garage sales and yard sales for there to be a lot of competition for others who are selling used books on Amazon.On the other hand, you will find a lot of worthless books at garage sales, too. You will see many boxes full of romance books, kids chapter books and BCEs. But you will also find some rare collectible books and high-value texts. 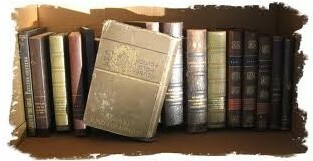 Used books can often be the highest priced resale items that internet re-sellers will find at garage sales. Spend some time going through all the books. You will regularly find $20 books, and sometimes $50-100 used books. I have found hundreds of used books in free boxes at yard sales and garage sales. Many are worth good money. There are often books that college students think are worthless because they could not sell them at their local college bookstore in free boxes. GRAB THEM QUICK! Selling used books doesn’t get any better than that. Look inside boxes and piles of items. Last summer, I found a softcover 1920s Cajun cookbook in a box, underneath a table at a garage sale. I bought it for 25c and sold it within a week on eBay for over $80. For sales with large book sections, ask if you can buy the whole lot for a low price, or ask if you can dispose of their books after the sale is over. Many garage sale hosts just box up books and drop them off at Goodwill after the sale. You can save them a trip, and you are guaranteed to make some money. You can also make book lots, and sell them on eBay. Try to bargain with garage sale hosts that have a lot of books. Do you think that they really want those boxes of books back in their garage or house after the sale? If they have 25c on their books, ask them if they want to get rid of some books – 10 for $1 – nice round numbers sound good to people. Compared to selling books found at garage sales, thrift store book shopping is more competitive. Once you start looking for used books at thrift stores like Goodwill and Salvation Army, you will notice internet sellers in the used book section scanning books with smart phones or handheld scanners. Books at thrift stores are also going to be higher priced than the same books found at yard sales. You have to pay attention to make consistent profit on used books, as in most thrift shops, hardcover books are $2 each, and hardcovers are often $1. Despite the challenges with finding used books to sell from thrift shops, the rewards can also be very good when selling used books from thrift stores. Large thrift stores can have thousands of books, and they are constantly refilling their shelves with additional used books. Even though there is competition at these locations, if you are there at the right time, there may be hundreds of fresh books on the shelves. Buying used books at thrifts also saves you a lot of time and money, because the thrifts consolidate hundreds or thousands of garage sales’ worth of stuff in one location. You don’t have to drive from sale to sale – you only have to go to one thrift shop, instead of dozens of garage sales. Thrift stores chains like Goodwills often have colored stickers on items that are 50% off, in order to move inventory. If you can go to thrifts frequently, visit on the day that the stickers change color, and buy primarily books that are 50% off. I hate spending $2 a piece on books. I do not buy many hardcover books at thrifts. I make much more money buying softcovers, especially rare ones – see the General Tips. I have found lots of $50 books that are skinny and hide in among larger books (you often can’t see the title on the spine). Look for books without ISBNs and Bar Codes (older books and self published books). These books can’t be quickly scanned by lazy book buyers, and can be worth a lot of money. Locate smaller thrift stores and out-of-the-way church thrifts. Hit the larger chains too, but visit these small thrift shops on your picking trips. They often will not be as popular with other book sellers, and you can find some treasures. Books are also liable to be lower priced than at chain thrift stores. Smart phones and Amazon price checking applications are a huge benefit when looking at hundreds or thousands of used books! They will also pay for themselves by preventing you from buying $2 books that you can’t even sell. Selling used books on Amazon is very quick and easy, even if you have never sold items on the internet. Check out our webpage How to Sell on Amazon for a primer on how to start selling books on Amazon. After selling used books for over twelve years, I have decided that I have very limited use for eBay when it comes to selling used books online. When I sell used books on the internet, I sell 95% of them on Amazon. Amazon has millions of visitors, and they are widely recognized as the place to go to buy used books. I can list about 10 books on Amazon in the time it takes me to list one book on eBay. You just type the ISBN number from the back of the book or the title page into the Amazon search bar or book search ISBN bar and locate your book. Go to the actual product page for the book, where it gives buyers the details and descriptions of the book. On the right side of the product page, you will see a blue box, with a button that says “Have one to sell? Sell on Amazon”. All you have to do is click that button, and you are provided a page to list your copy of the book. Just type in a short description of your copy of the book with condition, and list it for sale. Selling used books on Amazon is very simple and it costs NOTHING until your books sells. You just have to have room to store the books for a while until they sell. You can check to see how popular the book is by looking at the AMAZON RANK on the product page. If the rank is in the hundreds, you will sell it quick if you price at the bottom of the books available. If you see ranks in the millions, it could take you months or even years to sell your book. Then again, the books that rank in the millions are likely to be rare and valuable, so it may be worth storing the book for a long time. The other option for these books is to list them on eBay and sell them immediately. When listing used books on Amazon, describing condition and assigning condition values is very important. Always list condition issues like missing dust jackets, loose bindings, markings and ripped pages. Assign condition values one level lower than what you think it actually is. Very few books should be listed as ‘Like New’, unless they look like they just came off the bookstore shelves or were read only once. You are assigned a seller ranking, and buyers can leave you negative feedbacks on books that they receive from you. These feedbacks will be read by thousands of potential customers. Before talking about the specifics of selling used books on eBay, please refer to our general page on Selling Items on eBay. I use eBay for selling used books only in select situations. I sell most of my books on Amazon. But there are some advantages to selling some books on eBay. I have found collectible used books at yard sales and listed them on Amazon. Several months later, when I listed the same book on eBay, it sold immediately in a week, and for significantly higher than the Amazon list price! eBay has a special section for selling collectible books in: Books>Antiquarian & Collectible Books. DON’T OVERUSE THIS CATEGORY. Sometimes it works well, but I have had books sell at higher prices in the standard Non-Fiction category than in the Collectible category, and it seems like books are more likely to sell in the standard category – there are more people shopping there. The best advantage that eBay provides over Amazon is the ability for sellers to provide multiple photos of the book. Photos will sell your book much better than text descriptions! You now get up to 12 photos for each listing. For high-value books, add lots to photos – Cover photos, interior illustrations photos, photos of interesting text, and table of contents photos will all help to sell your book at higher prices. If you are selling a bunch of books at one time, consider paying for Listing upgrades for the best book – it will give exposure to all of your listings. Make your title stand out in the list of books. Spend the time and think of something original to use in the eBay title. You do not have to use the exact title of the book, if the title is boring. Describe the content, the author or the the high-point of the book. if the title of the book is “The History of Windmills” by Joe Schmo, you might use a title like “HISTORICAL WINDMILL PHOTO / ART 1640-1950 w/TEXT” – You want bidders to check out your listing and see the other photos that you have provided. MAKE THE ITEM TITLE GOOD! Used Books that lend themselves to selling well on eBay: Books with colorful and interesting covers that you can take photos of, Antiquarian Books that will take a long time to sell on Amazon, Books that have great interior illustrations, Niche books and hot topics that people are looking to buy – do your research!, Book sets, Book lots, and Damaged Books – sell illustration pages. Make sure that you ACCURATELY describe your book’s condition, so that you do not receive negative feedback from buyers! Enter your name and email and get enrolled in the Thrift Store and Yard Sale 'Flipping for Profit' Master Series... it's FREE! You know you want to.... Who wouldn't want over 350 Pages and $45 Worth of Free Flipping Advice guaranteed to make you money? 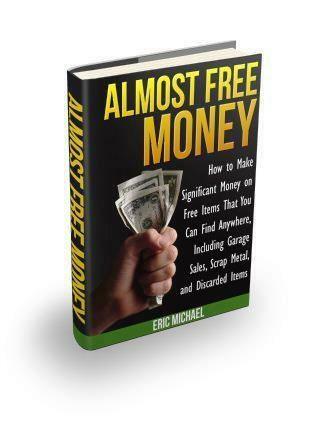 Get three full-length bestselling Almost Free Money books just for hanging out with me in my email list!